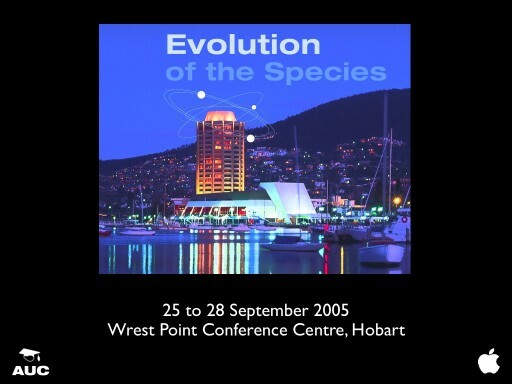 AUC Conference "Evolution of the Species"
The Swinburne University Centre for Astrophysics and Supercomputing employs immersive displays for scientific visualisation as well as for our public education and outreach activities. I will discuss and demonstrate how Mac OS-X is being used to drive these exciting environments which include stereoscopic walls, hemispherical domes, and tiled displays. The majority of the software development is intended to be cross platform between various flavours of UNIX and as such is based upon standards such as X11 and OpenGL. However recent developments in Tiger have enabled us to provide new solutions based up on QuickTime 7 and the Quartz engine.